Below is a list of the Frequently Asked Questions (FAQs) regarding the GT Cap Platen. Read through this list as there is a chance that the question you have is already answered below or you will learn something that you were not thinking about. Which model of GT Printers will the GT Cap Platen work with? The GT Cap Platen will work on the GT-541, GT-782 and GT-3 model of direct-to-garment printers. 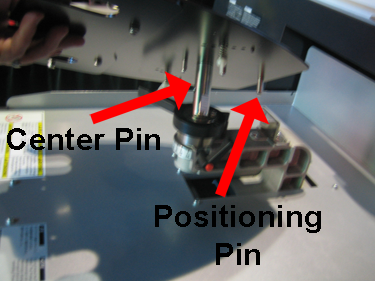 All three models use the same five pin setup to mount on the GT platen system. 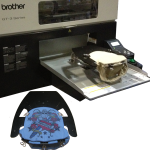 The GT Cap Platen is not designed to work with any other dtg printer made by a different manufacturer than Brother®. What items are included in the box when I purchase a GT Cap Platen? What are the Instructions for Loading a Cap Platen? What is the GT Cap Platen made out of? The GT Cap Platen base is made out of powder coated steel and stainless steel pins. The two Risers, Spacer and spring loaded bill holders are made out of plastic. Why are the bill holders spring loaded? To make it easier to load and unload the caps, we connected the bill holders usings springs on the bottom side of the GT Cap Platen base. These springs allow for the bill holders to flex some to make it easier to load and remove the bill of the cap. In cases where the artwork is printed too clese the bill holders, the GT user can simply pull up on the bill holders and rotate them until the bill of the cap can be removed. Can the GT Cap Platen print on both structured and unstructured caps? Similar to decorating caps with embroidery, some caps are easier to do compared to others. 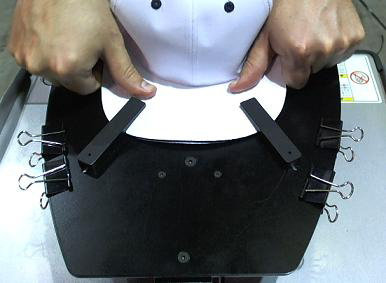 Unstructured caps (commonly known as relaxed or floppy front caps) are easier to get them to lay flat across the riser. How many caps do I need to sell to pay for the GT Cap Platen? Where can I download the artwork templates for the GT Cap Platen? You can download the artwork templates by completing the form on the Instructions page of the website. An email will be sent to the email address that you provided that will contain a unique link to download the artwork templates. What platen height setting should I set the GT Cap Platen on? The answer to this question varies depending on whether you are using the Spacer, the thickness of the cap being used and how smooth you were able to get the crown of the cap to lay across the riser. A good starting point would be Letter C on the platen height adjustment lever. We recommend that you test the height of the platen by pressing the Platen In/Out Feed button on the Control Panel to see if the cap will help the obstruction bar. What if the bill on the cap I want to print is larger or smaller than a typical cap? Will it work on the GT Cap Platen? 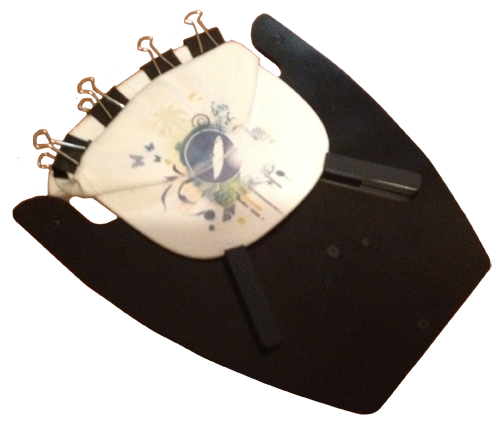 We designed the bill holders so that you can adjust the position of them into three locations. Simple unscrew the wing nut to move the bill holder from one location to another. Be careful when removing the wing nut so you don’t lose the washer or spring. You will need to put both of these one the threaded post of the bill holder once it is placed in the desired location. Why would I want to use the Spacer in conjunction with one of the Risers? In some cases, the GT User might want to raise up the printable area on the crown of the cap. 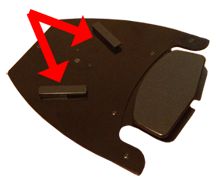 In other cases, the GT User may want to make it easier to load the cap to be GT Cap Platen by raising up the front lip on the Riser. We suggest to GT Users to try it with and without the Spacer to see which works best for them based on the caps being printed on. What Riser do you recommend for printing on structured caps? We recommend you use the Small Riser when printing on structured caps. Because of the additional material used to keep the crown of the cap sticking up with structured caps, it is easier to use the Small Riser. Why does the Small Riser have a center groove in it? We cut out a center groove on the Small Riser to help keep the center seam on a 6-panel structured cap as flat as possible. How do you prevent the silver handles on the black clips from hitting the obstruction bar on the GT printer? The black clips are attached to the back of the Cap Platen Base. This area is below the printable area of the riser to prevent the silver handles on the clips from hitting the obstruction bar. 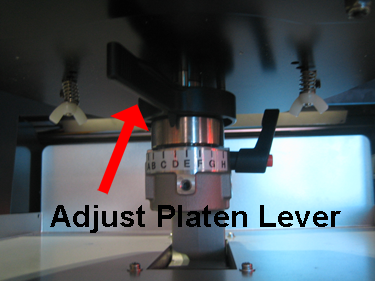 We recommend you test the height of the Cap Platen by pressing the platen feed button to make sure the cap does not hit the obstruction bar, there will be no head strikes on the cap and that you are not too far down from the bottom of the print head depending on which print direction mode (Bi-direcitonal or Uni-directional) you are using. Do I need to pretreat dark colored caps when printing with white ink? 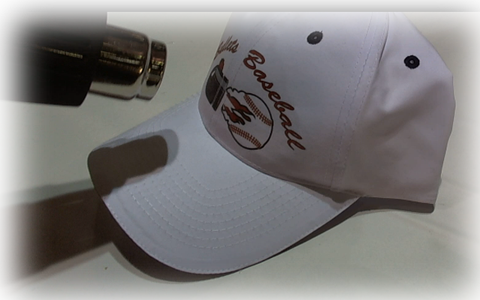 Yes, anytime you print white ink on a cap it must be pretreated. Manually pretreating caps either with a hand-held sprayer or roller takes some practice to ensure you are applying the proper amount of pretreat. Please allow yourself ample practice to get use to applying the pretreatment. 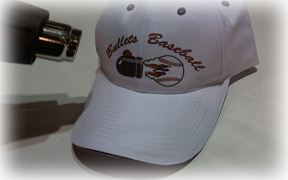 What should I do if I am printing on a cap made with a high percentage of polyester content? We recommend that use the DTG Pretreat fluid that is designed printing on to polyester. This special light garment pretreat fluid is designed for printing CMYK inks (not white ink) on to polyester and blend garments. It can be applied using a simple hand-held spray bottle and is easier to apply compared to the white ink pretreatment. The pretreat fluid will need to cured using a cap press, conveyor dryer or heat gun. 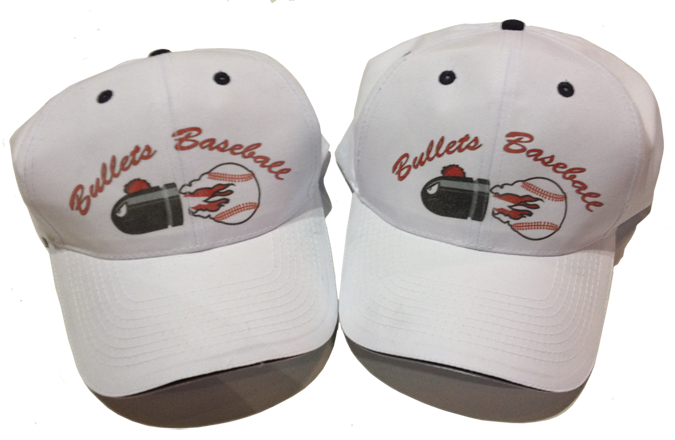 Below is a picture of a 100% polyester cap printed without and with the DTG Pretreat. How do I cure a printed cap once it is printed? 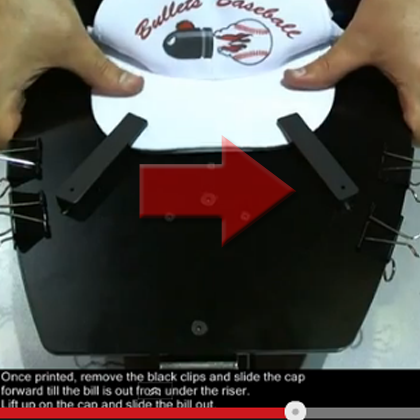 We recommend that you use a cap press or a forced air tunnel dryer to cure a printed cap. When curing the crown of the cap using a cap press, use 356 degrees F for 35 seconds with light to medium pressure. 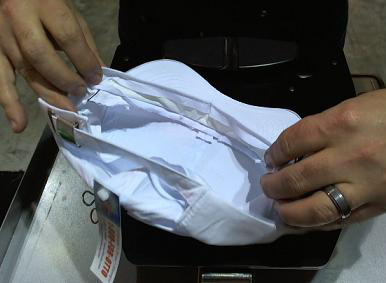 Be careful when pressing the bill of the cap with a heat press as they are typically made out of plastic and can becomed warped. 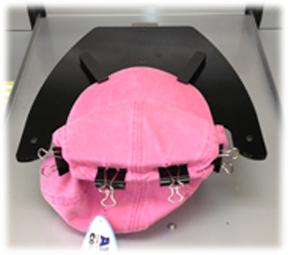 We recommend curing the bill of a cap using three separate 10 second presses at 356 degrees F to prevent the warping of the plastic material in the bill.When using a forced air dryer, make sure that all the plastic coverings and hang tags are removed to prevent them from melting while in the chamber. Also make sure that heating element in the conveyor dryer is raised up to allow for enough clearance for the cap to pass under without heating it or getting to close to cause scorching. 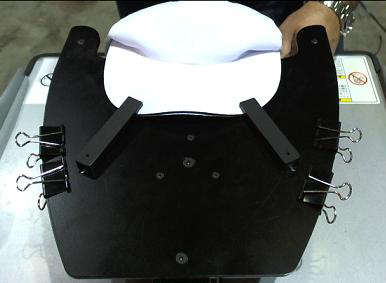 Testing should be done to determine the optimal dwell time and temperature for curing the GT inks on a cap using your forced air conveyor dryer.Users can also cure the caps using a heat gun when certain precautions are used. First, read all the safety instructions before using a heat gun. Make sure never to hold the printed cap in your hand when the heat gun is on and pointed at the cap. Be careful what temperature the heat gun is set to to prevent scorching or melting of the fabric and inside parts (i.e. plastic in the bill, backing on the crown of the cap, the size adjustment feature, elastic,..). The heat gun will need to constantly be moved over the printed areas of the cap (do not let it stay in one spot too long) for approximately 1-2 minutes. Due to the lack of controls (i.e. time and temperature) when using a heat gun, a wash test should be performed. 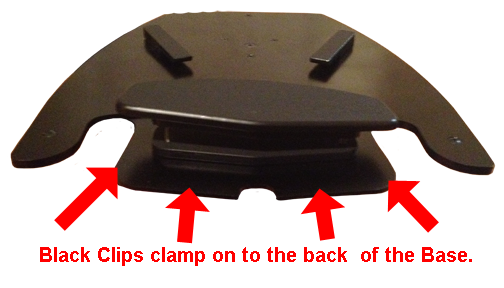 Purchase a GT Cap Platen.